This article is about a prominent Nazi politician. For the commandant of Auschwitz concentration camp, see Rudolf Höss. 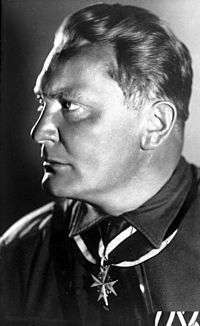 Rudolf Walter Richard Hess (spelled Heß in German) (26 April 1894 – 17 August 1987), was a prominent politician in Nazi Germany. 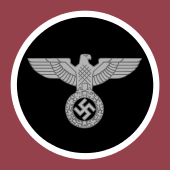 Appointed Deputy Führer to Adolf Hitler in 1933, he served in this position until 1941, when he flew solo to Scotland in an attempt to negotiate peace with the United Kingdom during World War II. He was taken prisoner and eventually was convicted of crimes against peace, serving a life sentence, until his death by suicide. Hess enlisted in the 7th Bavarian Field Artillery Regiment as an infantryman at the outbreak of World War I. He was wounded several times over the course of the war, and won the Iron Cross, 2nd class, in 1915. Shortly before the war ended, Hess enrolled to train as an aviator, but he saw no action in this role. He left the armed forces in December 1918 with the rank of Leutnant der Reserve. In 1919, Hess enrolled in the University of Munich, where he studied geopolitics under Karl Haushofer, a proponent of the concept of Lebensraum ("living space"), which later became one of the pillars of Nazi Party (National Socialist German Workers Party; NSDAP) ideology. 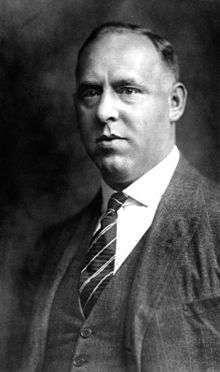 Hess joined the NSDAP on 1 July 1920, and was at Hitler's side on 8 November 1923 for the Beer Hall Putsch, a failed Nazi attempt to seize control of the government of Bavaria. 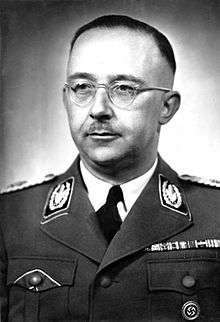 Whilst serving time in jail for this attempted coup, Hess helped Hitler write his book, Mein Kampf, which became a foundation of the political platform of the NSDAP. After the Nazi seizure of power in 1933, Hess was appointed Deputy Führer of the NSDAP and received a post in Hitler's cabinet. He was the third most powerful man in Germany, behind only Hitler and Hermann Göring. In addition to appearing on Hitler's behalf at speaking engagements and rallies, Hess signed into law much of the legislation, including the Nuremberg Laws of 1935, which stripped the Jews of Germany of their rights in the lead-up to the Holocaust. Hess continued to be interested in aviation, learning to fly the more advanced aircraft that were coming into development at the start of World War II. On 10 May 1941 he undertook a solo flight to Scotland, where he hoped to arrange peace talks with the Duke of Hamilton, whom he believed to be prominent in opposition to the British government. Hess was immediately arrested on his arrival and was held in British custody until the end of the war, when he was returned to Germany to stand trial in the Nuremberg Trials of major war criminals in 1946. Throughout much of the trial, he claimed to be suffering from amnesia, but later admitted this was a ruse. Hess was convicted of crimes against peace and conspiracy with other German leaders to commit crimes and was transferred to Spandau Prison in 1947, where he served a life sentence. Repeated attempts by family members and prominent politicians to win him early release were blocked by the Soviet Union. Still in custody in Spandau, he died by suicide in 1987 at the age of 93. After his death the prison was demolished to prevent it from becoming a neo-Nazi shrine. Hess, the oldest of three children, was born on 26 April 1894 in Alexandria, Egypt, into the ethnic German family of Fritz Hess, a prosperous merchant from Bavaria, and Clara Hess (née Münch). His brother, Alfred, was born in 1897 and his sister, Margarete, was born in 1908. The family lived in a villa on the Egyptian coast near Alexandria, and visited Germany often from 1900, staying at their summer home in Reicholdsgrün (now part of Kirchenlamitz) in the Fichtel Mountains. Hess attended a German language Protestant school in Alexandria from 1900 to 1908, when he was sent back to Germany to study at a boarding school in Bad Godesberg. He demonstrated an aptitude for science and mathematics, but his father wished him to join the family business, Hess & Co., so he sent him in 1911 to study at the École supérieure de commerce in Neuchâtel, Switzerland. After a year there, Hess took an apprenticeship at a trading company in Hamburg. While still convalescing, Hess had requested that he be allowed to enrol to train as a pilot, so after some Christmas leave with his family he reported to Munich. He received basic flight training at Oberschleissheim and Lechfeld Air Base in March to June 1918 and advanced training at Valenciennes in France in October. On 14 October, he was assigned to Jagdstaffel 35b, a Bavarian fighter squadron equipped with Fokker D.VII biplanes. He saw no action with Jagdstaffel 35b, as the war ended on 11 November 1918, before he had the opportunity. Hess was discharged from the armed forces in December 1918. The family fortunes had taken a serious downturn, as their business interests in Egypt had been expropriated by the British. Hess joined the Thule Society, an antisemitic right-wing Völkisch group, and a Freikorps, one of many such volunteer paramilitary organisations active in Germany at the time. Bavaria witnessed frequent and often bloody conflicts between right-wing groups such as the Freikorps and left-wing forces as they fought for control of the state during this period. Hess was a participant in street battles in the spring of 1919 and led a group which distributed thousands of antisemitic pamphlets in Munich. In 1919, Hess enrolled in the University of Munich, where he studied history and economics. His geopolitics professor was Karl Haushofer, a proponent of the concept of Lebensraum ("living space"), which Haushofer cited to justify the proposal that Germany should forcefully conquer additional territory in Eastern Europe. Hess later introduced this concept to Adolf Hitler, and it became one of the pillars of Nazi Party ideology. Hess became friends with Haushofer and his son Albrecht, a social theorist and lecturer. Ilse Pröhl, a fellow student at the university, met Hess in April 1920 when they by chance rented rooms in the same boarding house. They married on 20 December 1927 and their son Wolf Rüdiger Hess was born ten years later, in 1937. Meanwhile, problems continued with the economy; hyperinflation caused personal fortunes to be rendered worthless. When the German government failed to meet their reparations payments and French troops marched in to occupy the industrial areas along the Ruhr in January 1923, widespread civil unrest was the result. Hitler decided the time was ripe to attempt to seize control of the government with a coup d'état modelled on Benito Mussolini's 1922 March on Rome. Hess was with Hitler on the night of 8 November 1923 when he and the SA stormed a public meeting organised by Bavaria's de facto ruler, Staatskommissar (state commissioner) Gustav von Kahr, in the Bürgerbräukeller, a large beer hall in Munich. Brandishing a pistol, Hitler interrupted Kahr's speech and announced that the national revolution had begun, declaring the formation of a new government with World War I General Erich Ludendorff. The next day, Hitler and several thousand supporters attempted to march to the Ministry of War in the city centre. Gunfire broke out between the Nazis and the police; fourteen marchers and four police officers were killed. Hitler was arrested on 11 November. Hitler named Hess his private secretary in April 1925 at a salary of 500 Reichsmarks per month, and named him as personal adjutant on 20 July 1929. Hess accompanied Hitler to speaking engagements around the country and became his friend and confidante. In December 1932 Hess was named party Political Central Commissioner. On 30 January 1933 Hitler was appointed Reich Chancellor, his first step in gaining dictatorial control of Germany. Hess was named Deputy Führer of the NSDAP on 21 April and was appointed to the cabinet, with the post of Reich Minister without Portfolio, on 1 December. With offices in the Brown House in Munich and another in Berlin, Hess was responsible for several departments, including foreign affairs, finance, health, education and law. All legislation passed through his office for approval, except that concerning the army, the police and foreign policy, and he wrote and co-signed many of Hitler's decrees. An organiser of the annual Nuremberg Rallies, he usually gave the opening speech and introduced Hitler. 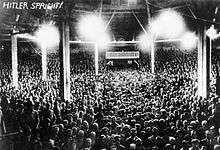 Hess also spoke over the radio and at rallies around the country, so frequently that the speeches were collected into book form in 1938. Hess acted as Hitler's delegate in negotiations with industrialists and members of the wealthier classes. As Hess had been born abroad, Hitler had him oversee the NSDAP groups such as the NSDAP/AO that were in charge of party members living in other countries. Hitler instructed Hess to review all court decisions that related to persons deemed enemies of the Party. He was authorised to increase the sentences of anyone he felt got off too lightly in these cases, and was also empowered to take "merciless action" if he saw fit to do so. This often entailed sending the person to a concentration camp or simply ordering the person killed. Hess was given the rank of Obergruppenführer in the Schutzstaffel (SS) in 1934, the second-highest SS rank. As the war progressed, Hitler's attention became focused on foreign affairs and the conduct of the war, to the exclusion of all else. Hess, not directly engaged in either of these endeavours, though he felt qualified to do so, became increasingly sidelined from the affairs of the nation and from Hitler's attention; Bormann had successfully supplanted Hess in many of his duties and usurped his position at Hitler's side. Also concerned that Germany would face a war on two fronts as plans progressed for Operation Barbarossa, the invasion of the Soviet Union scheduled to take place in spring 1941, Hess decided to boldly attempt to bring Britain to the negotiating table by travelling there himself to seek meetings with the British government. He asked the advice of Albrecht Haushofer, who suggested several potential contacts in Britain. Hess settled on fellow aviator Douglas Douglas-Hamilton, the Duke of Hamilton, whom he had never met. On Hess's instructions, Haushofer wrote to Hamilton in September 1940, but the letter was intercepted by MI5 and Hamilton did not see it until March 1941. Hamilton was chosen in the mistaken belief that he was one of the leaders of an opposition party opposed to war with Germany, and because he was a friend of Haushofer. A letter Hess wrote to his wife dated 4 November 1940 shows that in spite of not receiving a reply from Hamilton, he intended to proceed with his plan. He began training on the Messerschmitt Bf 110, a two-seater twin-engine aircraft, in October 1940 under instructor Wilhelm Stör, the chief test pilot at Messerschmitt. He continued to practice, including logging many cross-country flights, and found a specific aircraft that handled well—a Bf 110E-1/N—which was from then on held in reserve for his personal use. He asked for a radio compass, modifications to the oxygen delivery system, and large long-range fuel tanks to be installed on this plane, and these requests were granted by March 1941. After a final check of the weather reports for Germany and the North Sea, Hess took off at 17:45 on 10 May 1941 from the airfield at Augsburg-Haunstetten in his specially prepared aircraft. It was the last of several attempts to depart on his mission; previous efforts had to be called off due to mechanical problems or poor weather. Wearing a leather flying suit bearing the rank of captain, he brought along a supply of money and toiletries, a torch, a camera, maps and charts, and a collection of 28 different medicines, as well as dextrose tablets to help ward off fatigue and an assortment of homeopathic remedies. Initially setting a course towards Bonn, Hess used landmarks on the ground to orient himself and make minor course corrections. When he reached the coast near the Frisian Islands, he turned and flew in an easterly direction for some twenty minutes to stay out of range of British radar. He then took a heading of 335 degrees for the trip across the North Sea, initially at low altitude, but travelling for most of the journey at 5,000 feet (1,500 m). At 20:58 he changed his heading to 245 degrees, intending to approach the coast of North East England near the town of Bamburgh, Northumberland. As it was not yet sunset when he initially approached the coast, Hess backtracked, zigzagging back and forth for some 40 minutes until it grew dark. Around this time his auxiliary fuel tanks were exhausted, so he released them into the sea. Also around this time, at 22:08, the British Chain Home station at Ottercops Moss near Newcastle upon Tyne detected his presence and passed along this information to the Filter Room at Bentley Priory. Soon he had been detected by several other stations, and the aircraft was designated as "Raid 42". Before his departure from Germany, Hess had given his adjutant, Karlheinz Pintsch, a letter addressed to Hitler that detailed his intentions to open peace negotiations with the British. Pintsch delivered the letter to Hitler at the Berghof around noon on 11 May. Albert Speer later said Hitler described Hess's departure as one of the worst personal blows of his life, as he considered it a personal betrayal. 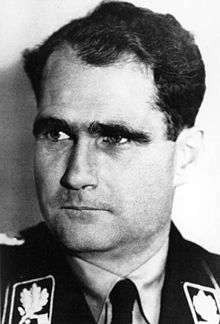 Hitler worried that his allies, Italy and Japan, would perceive Hess's act as an attempt by Hitler to secretly open peace negotiations with the British. For this reason, Hitler ordered that the German press should characterise Hess as a madman who made the decision to fly to Scotland entirely on his own, without Hitler's knowledge or authority. 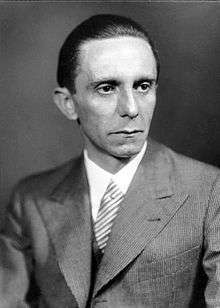 Some members of the government, including Göring and Propaganda Minister Joseph Goebbels, believed this only made matters worse, because if Hess truly were mentally ill, he should not have been holding an important government position. Hitler stripped Hess of all of his party and state offices, and secretly ordered him shot on sight if he ever returned to Germany. He abolished the post of Deputy Führer, assigning Hess's former duties to Bormann, with the title of Head of the Party Chancellery. Hitler initiated Aktion Hess, a flurry of hundreds of arrests of astrologers, faith healers and occultists that took place around 9 June. The campaign was part of a propaganda effort by Goebbels and others to denigrate Hess and to make scapegoats of occult practitioners. American journalist H. R. Knickerbocker, who had met both Hitler and Hess, speculated that Hitler had sent Hess to deliver a message informing Winston Churchill of the forthcoming invasion of the Soviet Union, and offering a negotiated peace or even an anti-Bolshevik partnership. Soviet leader Joseph Stalin believed that Hess's flight had been engineered by the British. Stalin persisted in this belief as late as 1944, when he mentioned the matter to Churchill, who insisted that they had no advance knowledge of the flight. Peter Padfield's Hess, Hitler and Churchill (2013) explores the mystery of Hess's flight to Britain. Padfield suggests that Hess was carrying documents with detailed proposals from Hitler which would have meant peace between Germany and Britain, which would stand neutral in a planned German war against the Soviet Union, in return for which Germany was willing to withdraw from Western Europe. Hess landed at Floors Farm, Eaglesham, south of Glasgow, where he was discovered still struggling with his parachute by local ploughman David McLean. Identifying himself as "Hauptmann Alfred Horn", Hess said he had an important message for the Duke of Hamilton. McLean helped Hess to his nearby cottage and contacted the local Home Guard unit, who escorted the captive to their headquarters in Busby, East Renfrewshire. He was next taken to the police station at Giffnock, arriving sometime after midnight; he was searched and his possessions confiscated. Hess repeatedly requested to meet with the Duke of Hamilton during questioning undertaken with the aid of an interpreter by Major Graham Donald, the area commandant of Royal Observer Corps. After the interview Hess was taken under guard to Maryhill Barracks in Glasgow, where his injuries were treated. By this time some of his captors suspected Hess's true identity, though he continued to insist his name was Horn. Hamilton had been on duty as Wing Commander at RAF Turnhouse near Edinburgh when Hess had arrived, and his station had been one of those that had tracked the progress of the flight. He arrived at Maryhill Barracks the next morning, and after examining Hess's effects, he met alone with the prisoner. Hess immediately admitted his true identity and outlined the reason for his flight. Hamilton told Hess that he hoped to continue the conversation with the aid of an interpreter; Hess could speak English well, but was having trouble understanding Hamilton. After the meeting, Hamilton examined the remains of the Messerschmitt in the company of an intelligence officer, then returned to Turnhouse, where he made arrangements through the Foreign Office to meet Prime Minister Winston Churchill, who was at Ditchley for the weekend. They had some preliminary talks that night, and Hamilton accompanied Churchill back to London the next day, where they both met with members of the War Cabinet. Churchill sent Hamilton with foreign affairs expert Ivone Kirkpatrick, who had met Hess previously, to positively identify the prisoner, who had been moved to Buchanan Castle overnight. Hess, who had prepared extensive notes to use during this meeting, spoke to them at length about Hitler's expansionary plans and the need for Britain to let the Nazis have free rein in Europe, in exchange for being allowed to keep its overseas possessions. Kirkpatrick held two more meetings with Hess over the course of the next few days, while Hamilton returned to his duties. Hess, in addition to being disappointed at the apparent failure of his mission, began claiming that his medical treatment was inadequate and that there was a plot afoot to poison him. The wreckage of the aircraft was salvaged by 63 Maintenance Unit between 11 and 16 May 1941 and was taken to Oxford to be stored. The aeroplane was armed with four machine guns in the nose but carried no ammunition. Several pieces of the plane are still extant, including the two engines, one of which is at the Royal Air Force Museum London. The other engine and a piece of the fuselage are at the Imperial War Museum in London. From Buchanan Castle, Hess was transferred briefly to the Tower of London and then to Mytchett Place in Surrey, a fortified mansion, designated "Camp Z", where he stayed for the next thirteen months. Churchill issued orders that Hess was to be treated well, though he was not allowed to read newspapers or listen to the radio. Three intelligence officers were stationed onsite and 150 soldiers were placed on guard. By early June, Hess was allowed to write to his family. He also prepared a letter to the Duke of Hamilton, but it was never delivered, and his repeated requests for further meetings were turned down. Major Frank Foley, the leading German expert in MI6 and former British Passport Control Officer in Berlin, took charge of a year-long abortive debriefing of Hess, according to Foreign Office files released to the National Archives. 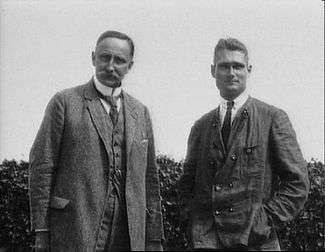 Dr Henry V. Dicks and Dr John Rawlings Rees, psychiatrists who treated Hess during this period, note that while he was not insane, he was mentally unstable, with tendencies toward hypochondria and paranoia. Hess repeated his peace proposal to John Simon, 1st Viscount Simon, then serving as Lord Chancellor, in an interview on 9 June. Lord Simon noted that the prisoner's mental state was not good; Hess claimed he was being poisoned and was being prevented from sleeping. He would insist on swapping his dinner with that of one of his guards, and attempted to get them to send samples of the food out for analysis. In the early morning hours of 16 June, Hess rushed his guards and attempted suicide by jumping over the railing of the staircase at Mytchett Place. He fell onto the stone floor below, fracturing the femur of his left leg. The injury required that the leg be kept in traction for twelve weeks, with a further six weeks bed rest before he was permitted to walk with crutches. Captain Munro Johnson of the Royal Army Medical Corps, who assessed Hess, noted that another suicide attempt was likely to occur in the near future. Hess began around this time to complain of amnesia. This symptom and some of his increasingly erratic behaviour may have in part been a ruse, because if he were declared mentally ill, he could be repatriated under the terms of the Geneva Conventions. The Allies of World War II held a series of military tribunals and trials, beginning with a trial of the major war criminals from November 1945 to October 1946. Hess was tried with this first group of twenty-three defendants, all of whom were charged with four counts—conspiracy to commit crimes, crimes against peace, war crimes and crimes against humanity, in violation of international laws governing warfare. On his arrival in Nuremberg, Hess was reluctant to give up some of his possessions, including samples of food he claimed had been poisoned by the British; he proposed to use these for his defence during the trial. The commandant of the facility, Colonel Burton C. Andrus of the United States Army, advised him that he would be allowed no special treatment; the samples were sealed and confiscated. Hess's diaries indicate that he did not acknowledge the validity of the court and felt the outcome was a foregone conclusion. He was thin when he arrived, weighing 65 kilograms (143 lb), and had a poor appetite, but was deemed to be in good health. As one defendant, Robert Ley, had managed to hang himself in his cell on 24 October, the remaining prisoners were monitored around the clock. Because of his previous suicide attempts, Hess was handcuffed to a guard whenever he was out of his cell. Almost immediately after his arrival, Hess began exhibiting amnesia, which may have been feigned in the hope of avoiding the death sentence. Medical personnel who examined Hess reported he was not insane and was fit to stand trial. At least two examiners, the British doctor and the Soviet one, noted their belief that Hess's amnesia might be fake. Efforts were made to trigger his memory, including bringing in his former secretaries and showing old newsreels, but he persisted in showing no response to these stimuli. When Hess was allowed to make a statement to the tribunal on 30 November, he admitted that he had faked memory loss as a tactic. He spoke to the tribunal again on 31 August 1946, the last day of closing statements. The prosecution's case against Hess was presented by Mervyn Griffith-Jones beginning on 7 February 1946. By quoting from Hess's speeches, he attempted to demonstrate that Hess had been aware of and agreed with Hitler's plans to conduct a war of aggression in violation of international law. He declared that as Hess had signed important governmental decrees, including the decree requiring mandatory military service, the Nuremberg racial laws, and a decree incorporating the conquered Polish territories into the Reich, he must share responsibility for the acts of the regime. He pointed out that the timing of Hess's trip to Scotland, only six weeks before the German invasion of the Soviet Union, could only be viewed as an attempt by Hess to keep the British out of the war. Hess resumed showing symptoms of amnesia at the end of February, partway through the prosecution's case. The case for Hess's defence was presented from 22–26 March by his lawyer, Dr Alfred Seidl. He noted that while Hess accepted responsibility for the many decrees he had signed, he said these matters were part of the internal workings of a sovereign state and thus outside the purview of a war crimes trial. He called to the stand Ernst Wilhelm Bohle, the man who had been head of the NSDAP/AO, to testify on Hess's behalf. When presented by Griffith-Jones with questions about the organisation's spying in several countries, Bohle testified that any warlike activities such as espionage had been done without his permission or knowledge. Seidl called two other witnesses, former mayor of Stuttgart Karl Strölin and Hess's brother Alfred, both of whom refuted the allegations that the NSDAP/AO had been spying and fomenting war. Seidl presented a summation of the defence's case on 25 July, in which he attempted to refute the charge of conspiracy by pointing out that Hitler alone had made all the important decisions. He noted that Hess could not be held responsible for any events that took place after he left Germany in May 1941. Meanwhile, Hess mentally detached himself from what was happening, declining visits from his family and refusing to read the newspapers. Visits to Spandau of half an hour per month were allowed, but Hess forbade his family to visit until December 1969, when he was a patient at the British Military Hospital in West Berlin for a perforated ulcer. By this time Wolf Rüdiger Hess was 32 years old and Ilse 69; they had not seen Hess since his departure from Germany in 1941. After this illness, he allowed his family to visit regularly. His daughter-in-law Andrea, who often brought photos and films of his grandchildren, became a particularly welcome visitor. Hess's health problems, both mental and physical, were ongoing during his captivity. He cried out in the night, claiming he had stomach pains. He continued to suspect that his food was being poisoned and complained of amnesia. A psychiatrist who examined him in 1957 deemed he was not ill enough to be transferred to a mental hospital. Another unsuccessful suicide attempt took place in 1977. Other than his stays in hospital, Hess spent the rest of his life in Spandau Prison. His fellow inmates Konstantin von Neurath, Walther Funk and Erich Raeder were released because of poor health in the 1950s; Karl Dönitz, Baldur von Schirach and Albert Speer served their time and were released, Dönitz in 1956, Schirach and Speer in 1966. The 600-cell prison continued to be maintained for its lone prisoner from Speer and Schirach's release until Hess's death in 1987, at an estimated cost of DM 800,000. Conditions were far more pleasant in the 1980s than in the early years; Hess was allowed to move more freely around the cell block, setting his own routine and choosing his own activities, which included television, films, reading and gardening. A lift was installed so he could more readily access the garden, and he was provided with a medical orderly from 1982 onward. Numerous appeals for Hess's release were launched by his lawyer, Dr Seidl, beginning as early as 1947. These were denied, mainly because the Soviets repeatedly vetoed the proposal. Spandau was located in West Berlin, and its existence gave the Soviets a foothold in that sector of the city. Additionally, Soviet officials believed Hess must have known in 1941 that an attack on their country was imminent. In 1967 Wolf Rüdiger Hess began a campaign to win his father's release, garnering support from notable politicians such as Geoffrey Lawrence, 1st Baron Oaksey[lower-alpha 1] in Britain and Willy Brandt in Germany, but to no avail, in spite of the prisoner's advanced age and deteriorating health. Hess died on 17 August 1987 at the age of 93 in a summer house that had been set up in the prison garden as a reading room. He took an extension cord from one of the lamps, strung it over a window latch, and hanged himself. Death occurred by asphyxiation. A short note to his family, thanking them for all they had done, was found in his pocket. The Four Powers released a statement on 17 September ruling the death a suicide. 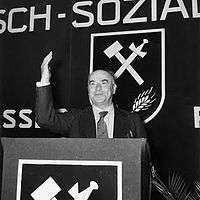 Initially buried at a secret location to avoid media attention or demonstrations by Nazi sympathisers, Hess was re-interred in a family plot at Wunsiedel on 17 March 1988, and his wife was buried beside him when she died in 1995. Spandau Prison was demolished to prevent it from becoming a neo-Nazi shrine. His lawyer, Dr Seidl, felt Hess was too old and frail to have managed to kill himself. Wolf Rüdiger Hess repeatedly claimed that his father had been murdered by the British Secret Intelligence Service to prevent him from revealing information about British misconduct during the war. Abdallah Melaouhi, who served as Hess's medical orderly from 1982 to 1987, was dismissed from his position at his local district parliament's Immigration and Integration Advisory Council after he wrote a self-published book on a similar theme. According to an investigation by the British government in 1989, the available evidence did not back up the claim that Hess was murdered, and Solicitor General Sir Nicholas Lyell saw no grounds for further investigation. Moreover, the autopsy results support the conclusion that Hess had killed himself. A report released in 2012 again raised the question of whether Hess was murdered. Historian Peter Padfield claims the suicide note found on the body appears to have been written when Hess was hospitalised in 1969. After the town of Wunsiedel became the scene of pilgrimages and neo-Nazi demonstrations every August on the date of Hess's death, the parish council decided not to allow an extension on the grave site's lease when it expired in 2011. With the consent of his family, Hess's grave was re-opened on 20 July 2011 and his remains were exhumed, and then cremated. His ashes were scattered at sea by family members; the gravestone, which bore the epitaph "Ich hab's gewagt" ("I have dared"), was destroyed. ↑ Lord Oaksey had been the president of the judicial group at the International Military Tribunal in Nuremberg. Manvell & Fraenkel 1971, p. 195. 1 2 3 Nesbit & van Acker 2011, p. 14. 1 2 3 Evans 2003, p. 177. 1 2 Hess 1987, p. 34. 1 2 3 Nesbit & van Acker 2011, p. 19. 1 2 Hess 1987, p. 39. 1 2 Nesbit & van Acker 2011, p. 22. 1 2 Nesbit & van Acker 2011, p. 28. 1 2 Evans 2008, p. 167. 1 2 Bird 1974, pp. 37–38. 1 2 Manvell & Fraenkel 1971, pp. 154–155. 1 2 Sereny 1996, p. 604. 1 2 Nesbit & van Acker 2011, pp. 100–101. 1 2 Greenwald & Freeman 1987. Jones, Nigel (4 October 2013). "Hess, Hitler & Churchill by Peter Padfield, review". The Daily Telegraph. Telegraph Media Group. Retrieved 19 October 2015. Joyce, William (2013) . Twilight Over England. Black House Publishing. ISBN 978-0-9927365-1-4. "Bezirk feuert Krankenpfleger von Heß" [District nurse fired over Hess]. Bild (in German). Axel Springer AG. 24 July 2008. Archived from the original on 23 January 2009. Retrieved 27 February 2013. "Top Nazi Rudolf Hess exhumed from 'pilgrimage' grave". BBC News. 21 July 2011. Retrieved 27 February 2013. Padfield, Peter (2001). Hess: The Führer's Disciple. London: Cassell. ISBN 978-0-304-35843-4. Thomas, Hugh (1979). 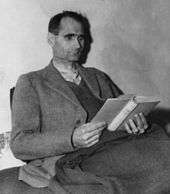 The Murder of Rudolf Hess. New York: Harper & Row. ISBN 978-0-06-014251-3.